For many drivers in Ontario the transition from fall to winter means it’s time to switch to seasonal tires. Unlike the province of Quebec, the use of winter tires isn’t mandated, but the data is clear. A study conducted by the ministère du Québec showed a 5% reduction in winter collisions after the law was passed, with 574 fewer people injured. Additionally, many insurers will reward drivers for making the switch by lowering their monthly rates, so make sure to check in with your provider to see if you’re eligible. One major drawback to swapping to safer tires is finding the space to store them. In this case a self storage unit could be the best solution for you. Storage Centre has the perfect option in a 5’x5’ unit that will fit 4 (or more) tires and additional items if you so choose. Our latest promotions can be found here, or better yet, give us a call at (416) 679-1000 and we will happy to assist you. Stay safe out there! Spring clearing can often sound like an ominous task, especially for us 4-seasoned Canadians. The days become longer, the temperature sneaks above freezing and before we know it spring has sprung and it’s time embrace the coming seasons with a fresh start. However, spring clearing doesn’t have to be an overwhelming process. With the assistance of self storage you’ll find that reorganizing your home or business can be a much simpler task. It’s time to wipe off the dust and get started! Your main goal with each room is to declutter and free up space. Try to make the space effective and have optimal accessibility for the items you’ll need this spring, summer, and even into fall. Don’t neglect your closet space! When moving from room to room it’s easy to overlook your closed closets but make certain these aren’t ignored. They will hold many of your seasonal items including winter jackets, sweaters, hats and boots that will need to be put away in storage or donated. This extra space will provide plenty of room for your warmer attire and give you peace of mind. Make up a few boxes and round up all of your seasonal items for storage. All others can be sorted for donation, recycle or garbage so make sure to have a few bags handy. Seasonal items could include heaters, sports equipment (hockey, skis, toboggans), winter clothing, snow tires, comforters, winter mats and more. 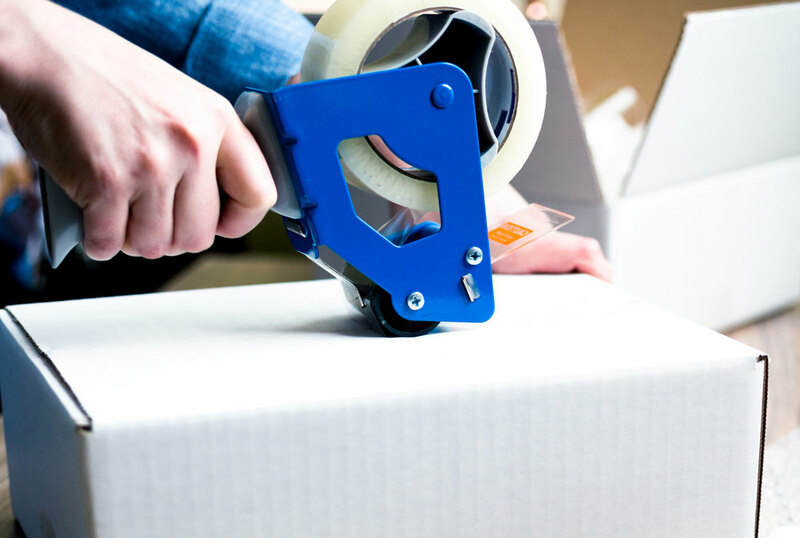 If you need boxes, tape, tape guns, bubble or stretch wrap for packing up your stuff come into the shop at Storage Centre - we have you covered! Now is also a good time to think about any patio furniture, BBQ accessories and yard items that you have stored over the winter. Make sure to include them in your logistics plan when calculating space for your self storage unit. Once everything is packed up, label each box clearly and move them out of each room to an easily accessible area. Now that you’ve run amok in each room sorting, categorizing and placing your items away, it is a great time for a deep clean. Keep an eye out for large accumulations of dust (on top of kitchen cabinets, tables, floors), cobwebs and areas that need to be swept as well. If the weather isn’t terrible you may want to open a window to get some fresh air in while the dust is being stirred around. This stage is also a great time to check the batteries in your smoke detectors and take a look at your lightbulbs as well, as they typically attract plenty of dust.